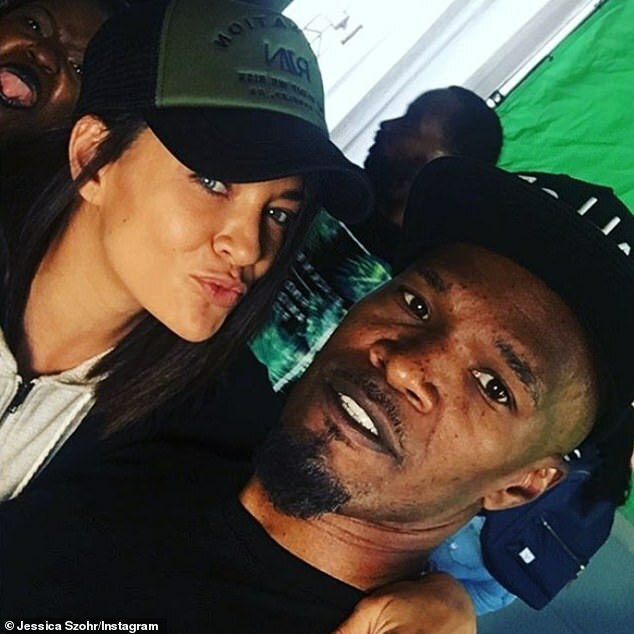 He’s long been hush-hush about his relationship with Katie Holmes, but Jamie Foxx may have moved on to greener pastures. 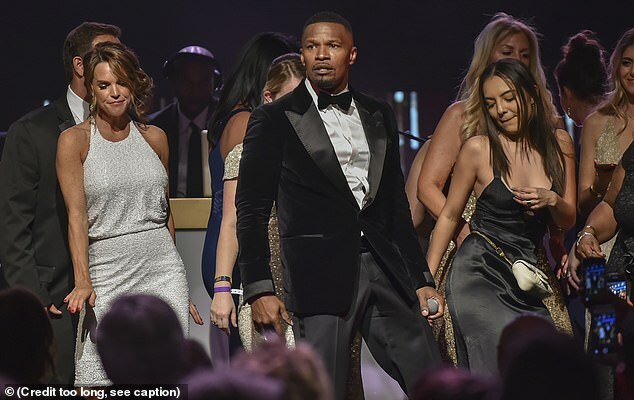 The 51-year-old Baby Driver actor attended Beyoncé and Jay-Z’s ultra-exclusive post-Oscars party at West Hollywood’s Chateau Marmont with 33-year-old actress Jessica Szohr on Sunday night. According to Us Weekly, the Oscar-winner mentioned that he was single earlier in the night, while attending a charity gala. 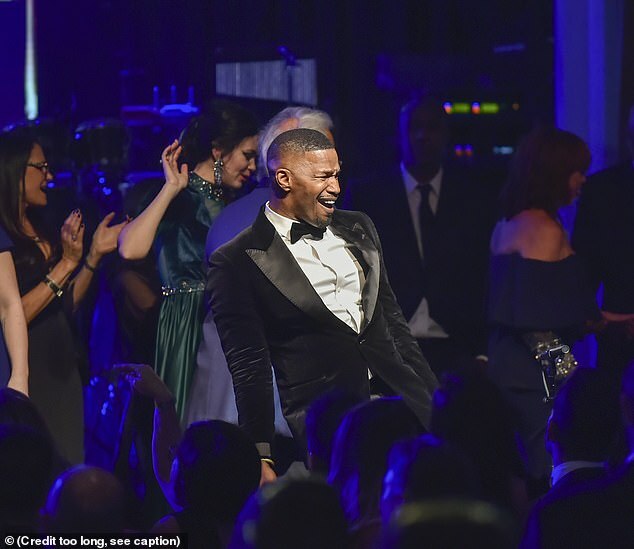 According to a source, the Academy Award winner dropped the information at the third annual Entertainment Studios Oscar Gala Supporting Children’s Hospital Los Angeles, held in the Beverly Wilshire Hotel. 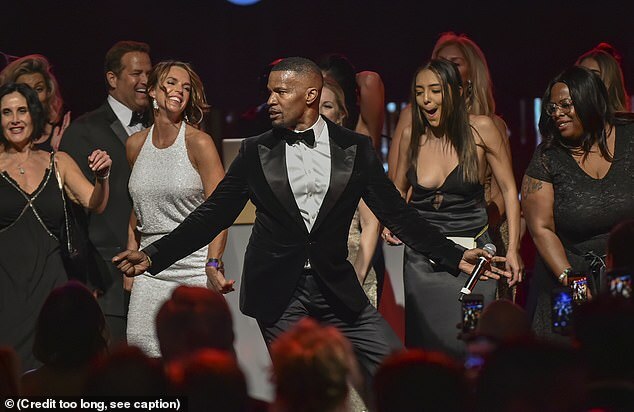 He was onstage in the midst of a half-hour performance for the benefit when he launched into a monologue about relationships. 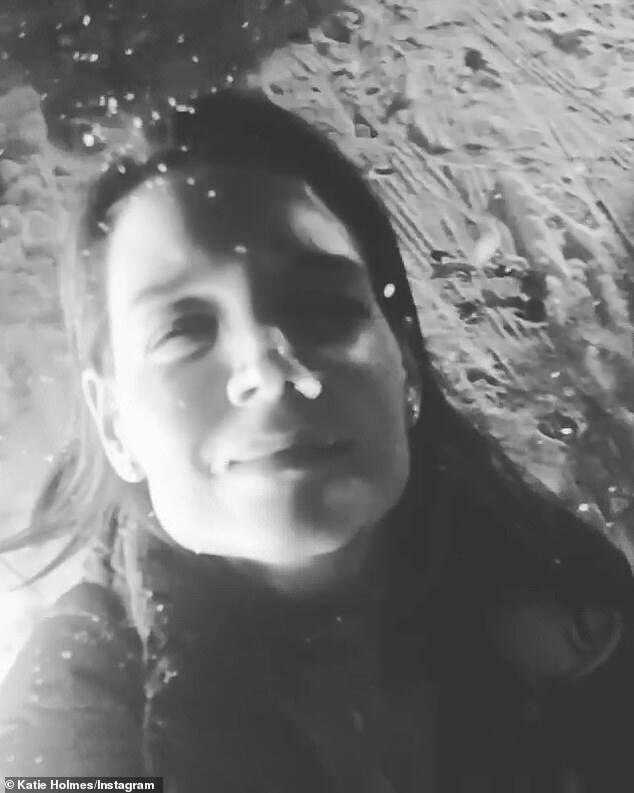 The disclosure raised questions about the status of his relationship with Katie, as well as his connection to Jessica. Jamie cast the biracial beauty in his long-delayed directorial debut All-Star Weekend alongside Jeremy Piven, Eva Longoria, DJ Khaled and Robert Downey Jr. Earlier that same night, Jamie and Jessica both attended the Vanity Fair Oscar Party at Wallis Annenberg Center for the Performing Arts in Beverly Hills. 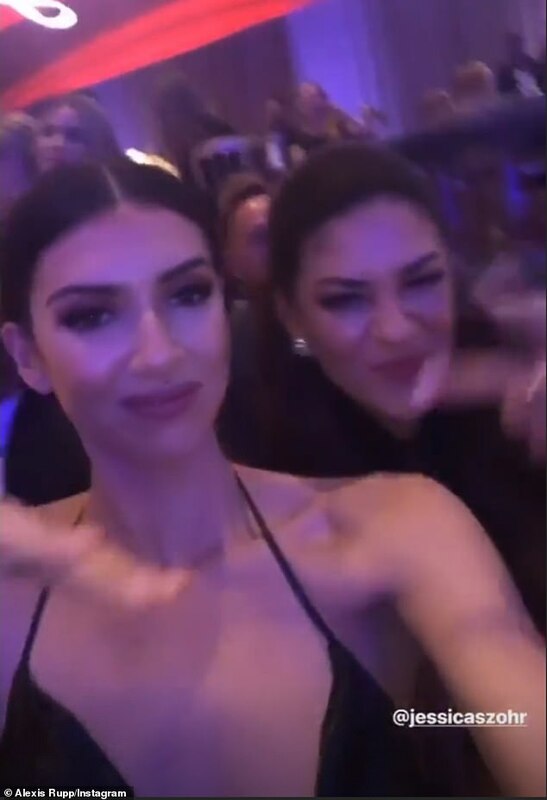 However, Szohr — who dated retired NFL wide receiver Scotty McKnight 2014-2018 — mostly spent the evening by the side of her gal pal, Nous Model Alexis Rupp. 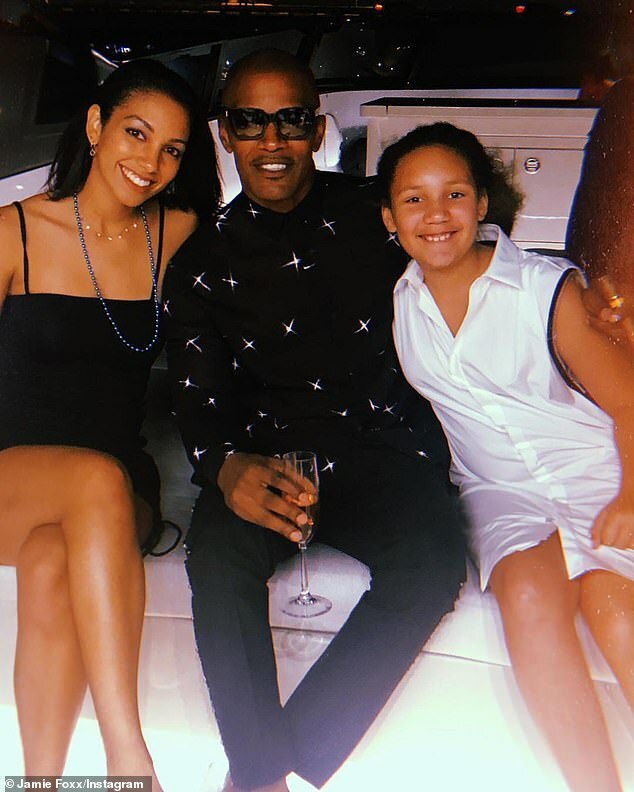 Foxx (born Eric Bishop) hasn’t been pictured with his girlfriend of four years — Katie Holmes — since December 28 when they kissed aboard a yacht off the coast of Miami. The 40-year-old Dawson’s Creek alum was reportedly banned from publicly dating anyone for five years due to a clause in her 2012 divorce settlement from his former Collateral co-star Tom Cruise. Since January, the Ocean’s Eight actress has been hard at work in Victoria, British Columbia filming STXfilms’ horror sequel The Boy 2. 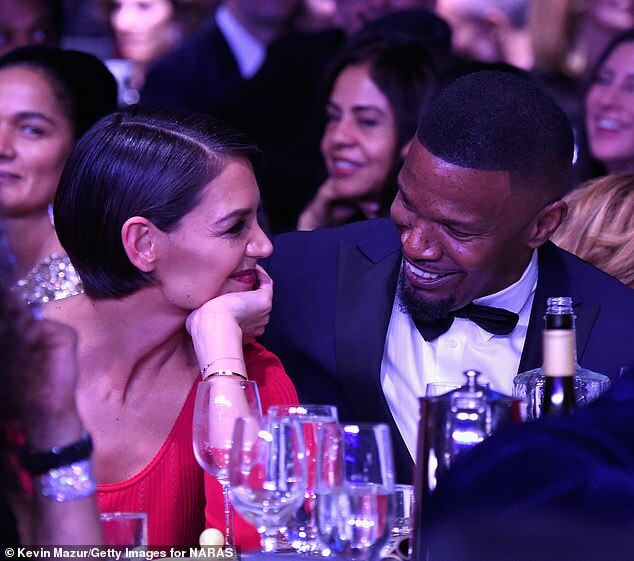 As recently as January, Us Weekly reported that Katie was still infatuated with her Collateral co-star, despite his disinterest in settling down. But the true loves of Jamie’s life are still his 25-year-old daughter Corinne (with Air Force veteran Connie Kline) and nine-year-old daughter Annalise (with unemployed publicist Kristin Grannis). 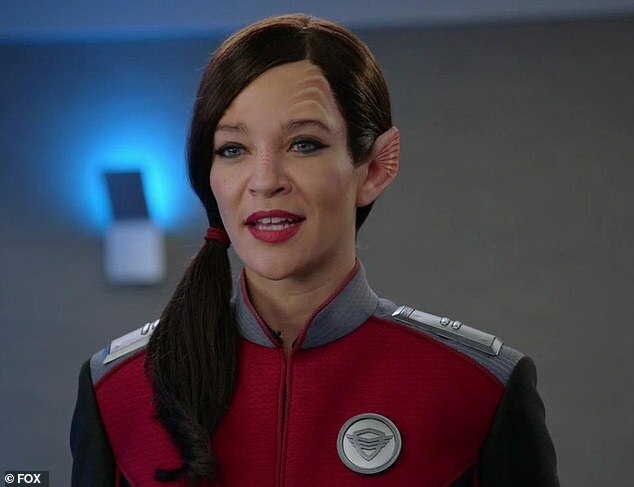 Jessica currently plays sassy Xelayan security chief Lieutenant Talla Keyali in the 14-episode second season of sci-fi dramedy The Orville, which airs Thursdays on Fox. Szohr will get to reunite with her Gossip Girl castmate Leighton Meester this season. ‘She comes on later in the season, so we got to have a little reunion. That was really exciting and fun,’ the Shameless starlet told TVLine last month. 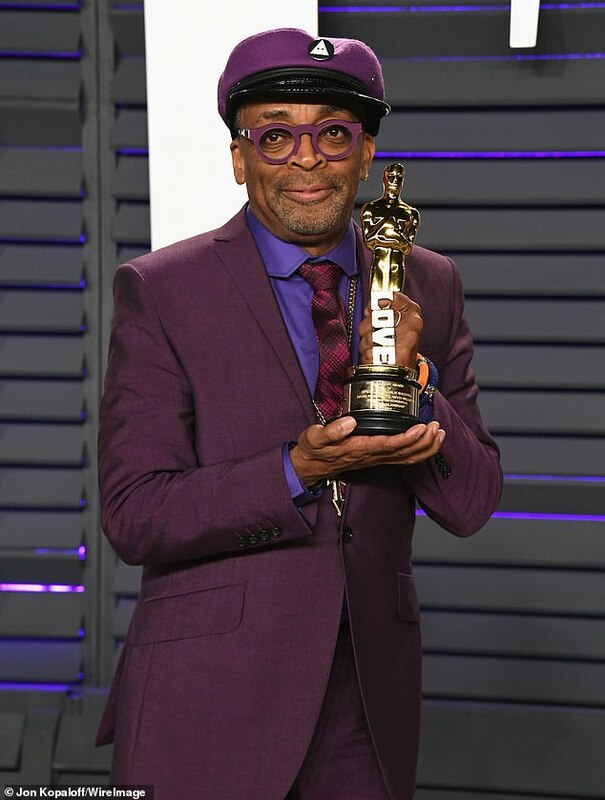 While at the Beverly Wilshire Hotel, Jamie weighed in on BlacKkKlansman filmmaker Spike Lee – ‘who came from nothing’ – finally winning Oscar gold for best adapted screenplay. ‘Oh man, congratulations Spike. Me and Spike was arguing two nights ago about Michael Jordan and LeBron [James], and so it’s great to see him get that in that room and you see how much energy and how much love people gave to him,’ the Robin Hood actor told TMZ.